Do you guys love animal print as much as I do? If you can’t tell by this post, I’m a bit obsessed. 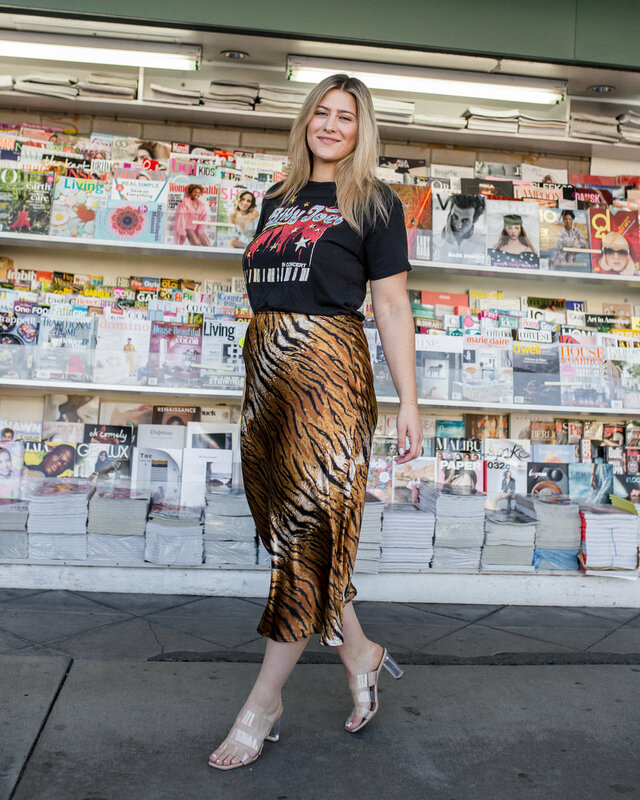 I love that it’s a trend that is so versatile so today I’m showing you how to rock an animal print skirt, dress and yes, pants. This first look features some of my current favorite items in my wardrobe at the moment. I LOVE a good graphic tee, my collection just keeps getting bigger and bigger. Unfortunately, these shoes are sold out but I just found a few similar pairs here and here. Don't be afraid to pair a graphic tee with a bold print like this skirt. If this look is a bit too bold for you, I would also wear it with a pair of white sneakers and a black cami for a more simple look. This dress speaks for itself. I also featured it one of my recent try-on hauls so be sure to watch it to see it in action. Sadly, it is sold out but AFRM has so many great items. I have worn it with a pair of OTK suede boots while the weather was a bit cooler and for spring I wore it with these fun black and vinyl heels that are so affordable. How fabulous are these pants?? I saw them and I knew that I needed them in my closet. I styled them with one of my new favorite one-shoulder tops and of course a touch of the western trend because I just couldn't resist. My only warning is that they are linen so they do stretch out a bit so I had them taken in.